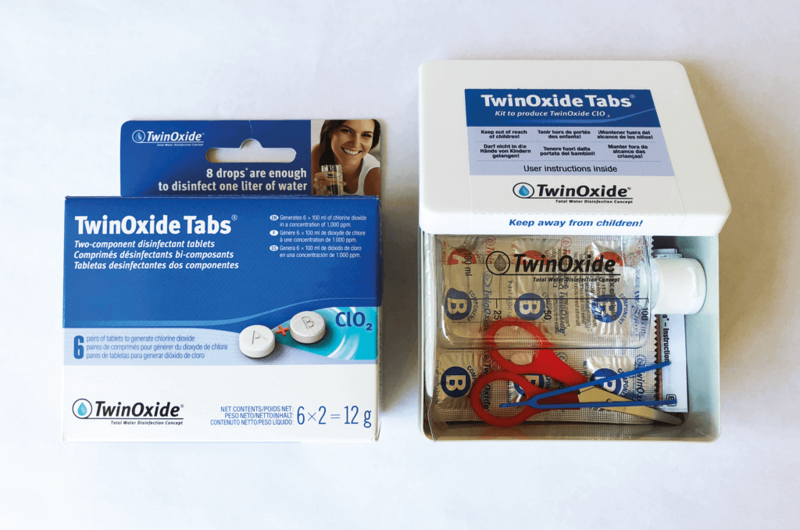 New in our product line are the TwinOxide Tabs. Packed in a nice full colour carton, containing 6 pairs of tablets. Generating 6 x 100 ml of chlorine dioxide at 0.1%. 8 drops are enough to disinfect 1 liter of water (dosage can vary depending on water contamination).